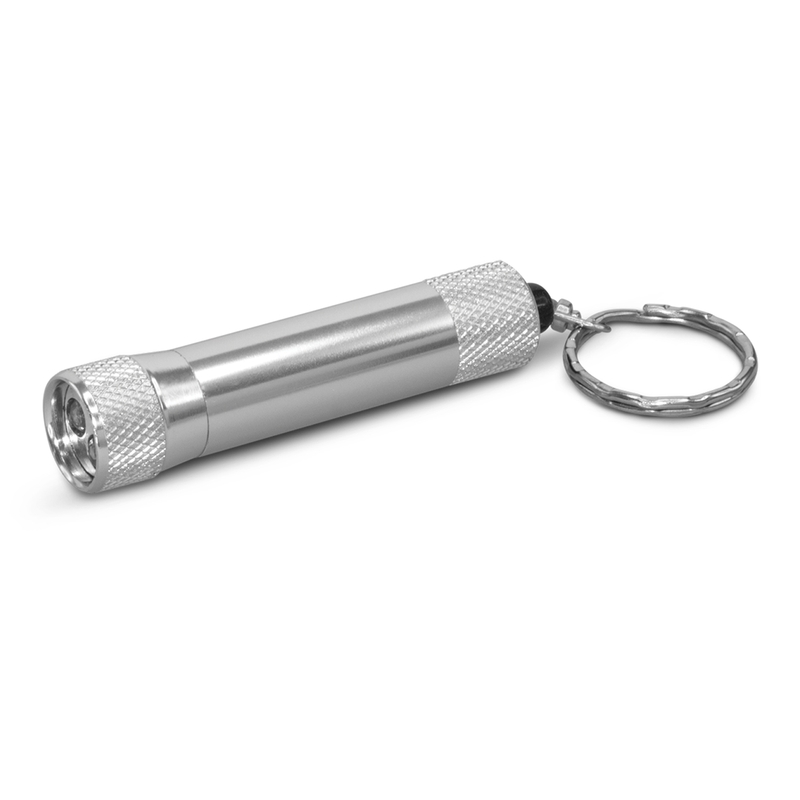 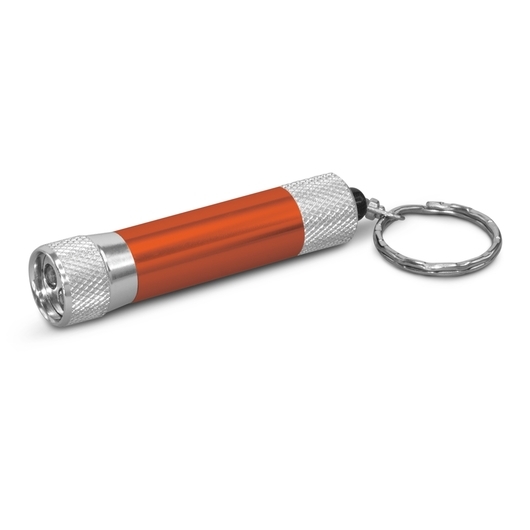 A silver/coloured aluminium torch that has a keyring. Discover what's hidden in the dark with these easy to use keyring torches. They're made from aluminium and feature 3 powerful LED's. 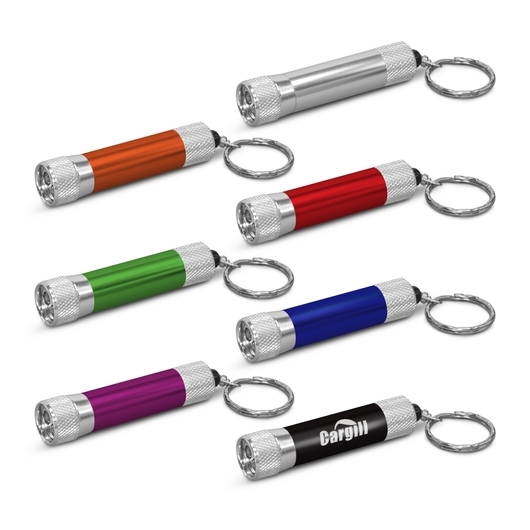 Your choice of 7 exciting colours, these torches use 4 button cell batteries which are included and laser engrave to an oxidised white colour.